WISER would like to welcome Drs. Bo Yu (Molly) and Wei Li (Wendy) who are visiting us from Shanghai University of Medicine and Health Sciences. They have just completed their first week of WISER's two week Professional Development Program, which is part of our Visiting Scholars Program. Dr. Wei Li is an attending physician and lecturer in the field of Obstetrics and Gynecology while Dr. Bo Yu is an attending physician and lecturer in Diagnostics and Internal Medicine. As clinical and novice simulation instructors at their institutions, Drs. 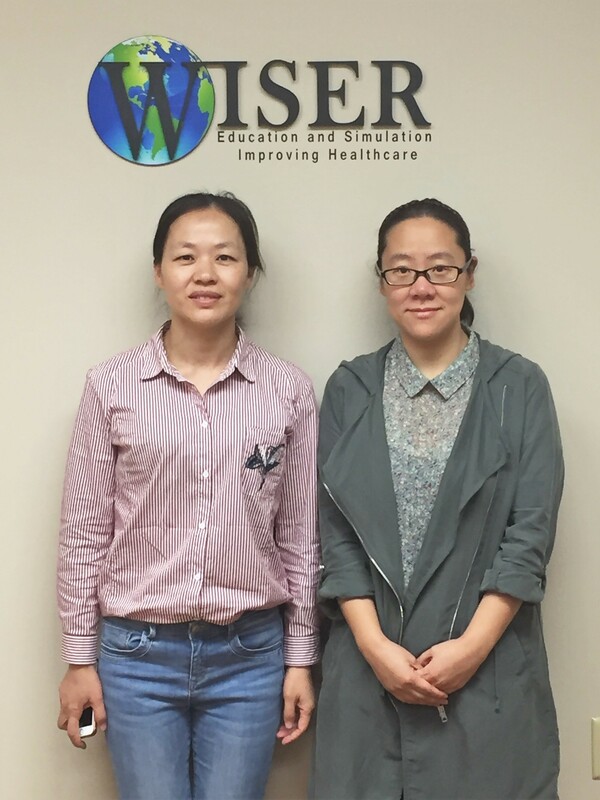 Bo Yu and Wei Li have come to WISER to strengthen their understanding of curriculum development, instructional methods, debriefing, and assessment. This is their first time in America and we are honored that they have chosen WISER to further their professional development. Welcome!